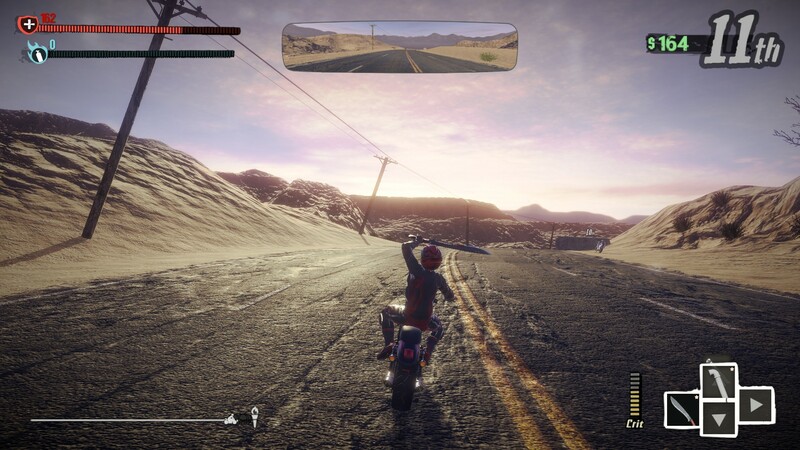 Road Redemption is a modern take on Road Rash, a motorcycle racing game that allowed you to use weapons to beat the hell from other riders. It’s something that everyone who has ever driven or seen a motorcycle has wanted to do. There is something primal about hitting someone with a baseball bat back in the day. Adrian Peterson knows what I mean. Developer Ian Finch wrote a blog post on Gamasutra about how we need a modern version of the Road Rash series and then Kickstarted a campaign to make the sort of game he wanted to play, one with modern graphics that still had us beating our opponents up. Adrian Peterson still knows what I mean. It’s a primal setup that anyone can enjoy – violence and motorcycles. There was one issue with the old Road Rash series – if you spend your time attacking the other riders, it distracts from your goal of getting to the end of the race in first place. Now, I did start Road Rash 3 for the Sega Genesis recently on an emulator to see if the original team had the same breakthrough. I don’t have an answer because I fired it up over Thanksgiving and my brother and two nephews took turns playing it and I was so relieved that everyone was getting along that I lost sight over the holidays of what was really important – games journalism for a site filled to bursting with Youtube-as-if-purchased-by-Yahoo!-quality comments in the forum. So maybe Road Rash gave you something for killing Rude Boy eventually.. Maybe they didn’t. 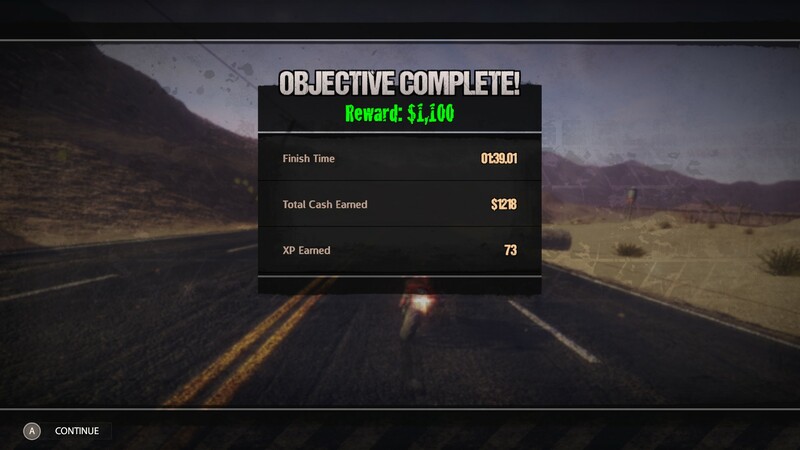 I’ll go ahead and credit Road Redemption with this breakthrough. How Road Redemption specifically handles the issue is by giving you nitro (today’s version of boost) by killing other racers on motorcycles. Or cars or trucks. Or virtually anyone else on the road. With boost you are the fastest thing on the road, so you need it in order to win races, but you also need it if you spent too much time whacking the enemy racers with swords, dynamite, lead pipes, pole arms and other objects. I must stress how difficult it is for me to carry anything in my hands while I ride my motorcycle. I put groceries in between my jacket and stomach. It’s a self-correcting measure, because if I get fatter I can bring home less shopping. But yes, this is the genius of Road Redemption, which may or may not have been in one of the Road Rashes. It wasn’t in Road Rash for Windows 95. And you’d think they would have had all the improvements then? There are a couple modes. You can play in a “Campaign” mode – there is a story to follow along and you have enemies (the Reapers) and your guys (the Jackals). A dude with an Australian accent is the narrator on your side. A very angry guy who is the leader of the Reapers has the ability to communicate with you while riding, but perhaps he is only angry because you keep shoving morning stars into the skulls of his buddies. I haven’t gotten far enough in the Campaign to tell. You need 350 experience points to unlock starting on level three. But you need to unlock squares along the way. Don’t get me wrong – I hate this. 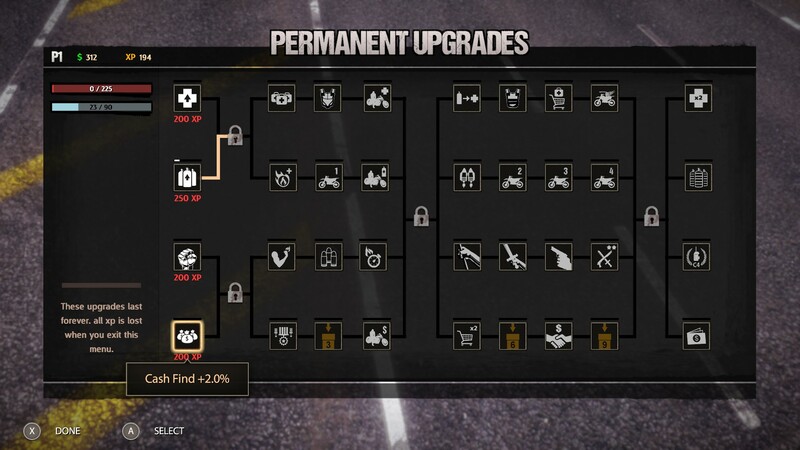 I hate unlocking stuff and you really have to get tons of XP to get as far as you need to get to unlock starting on the third level. I missed it by 14 points my last attempt. However, while I hate it in concept, I don’t hate it in reality, again like how Adrian Peterson feels about beating his kids. 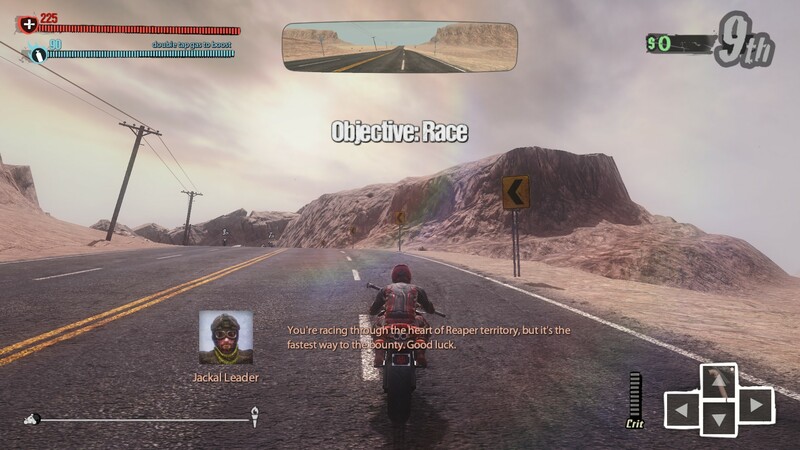 The journey is the fun part in Road Redemption and it’s sooo good. There’s another mode where you can unlock tracks by finishing third or better. The older nephew and I will hand the gamepad to each other to try to unlock the new areas one after another. Fun fun fun. Road Redemption is a success in a few ways. It’s a Kickstarter game that actually came out. Nobody’s copies got lit in a bonfire. It came out in Early Access on Steam and was finished. Another rarity. It got better due to being in Early Access. Amazing! And it’s a successful attempt at recreating and improving a class with modern play and sensibilities. Each point along the way things could have gotten screwed up but it didn’t. It’s frequently $10 on Steam during sales. It’s worth a lot more than that.